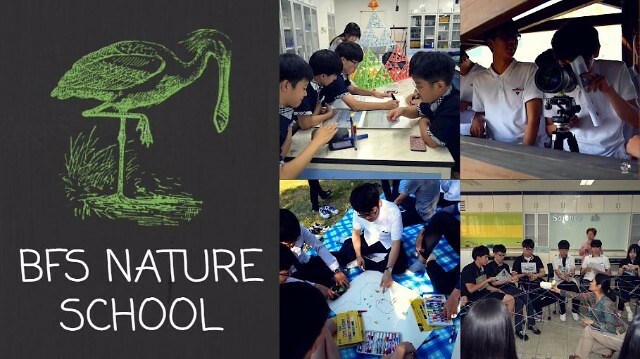 The Black-faced Spoonbill (BFS) Nature School began in April 2016 with the goal of raising awareness of students in Incheon, Republic of Korea, on the importance of migratory waterbirds and their habitats. The School, run by local science teachers, is led by Ms. Sunjeong Nam of the Incheon BFS Network, with the technical support of the EAAFP Secretariat. This year the Secretariat was happy to see that the number of students participating in BFS Nature School increased by nearly 600 hundred compared to the previous year. The curriculum consists of lectures, activities, and field trips. In the first class, students learn about migratory waterbirds (especially BFS) and the importance of international cooperation for environmental conservation. The second class covers the birds’ primary habitat – wetlands, while the third class serves to deepen the students’ understanding of biodiversity. Finally, students are able to embark on field trips to see spoonbills the field – at Namdong Reservoir, a significant breeding site that supports nearly 10% of the current population. There, middle and high school students plan how to conserve and utilise the Reservoir, while elementary school students make poems and stories about BFS. Through the lectures, activities, and discussions, the students can relate that their own lives and culture are deeply tied to wetlands, and appreciate the importance of maintaining healthy wetlands in Korea. In fact, Korea’s most famous cultural export, Kimchi, would not have developed without wetlands! In 2016, some Korean students from Incheon had the opportunity to join the International Skype Meetings on the BFS with Hong Kong and Taiwan. These were ideal opportunities for students across the globe to feel and understand that they share the same species with other countries, regardless of borders. I learned about the meaning of the future if there are no BFS anymore. I came to know that the reclamation is not a good thing. It makes biodiversity lower! Through various activities and diverse perspectives, I learned our duty in life, and how important conservation is. Before class, I hated the living creatures, now I appreciate them. This class is not for exam. I can feel the meaning of conservation more vividly.